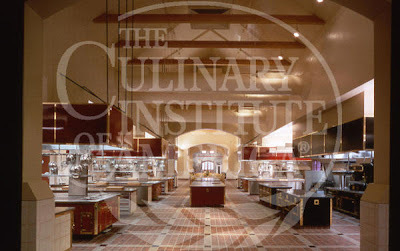 Culinary Boot Camp - www.ciachef.edu/enthusiasts/bootcamps/ Three different locations (NY, CA or TX) for you to choose from and a variety of lengths of programs available. Canadian Adventure Camp - http://www.wildretreat.com/ in British Columbia (everything from horse back riding to zipling and from kayaking to whale watching) but what makes this place special is the TENTS ~ they have ensuite bathrooms! Tomorrow Biker Babe Camp and Rock n Roll Camp!